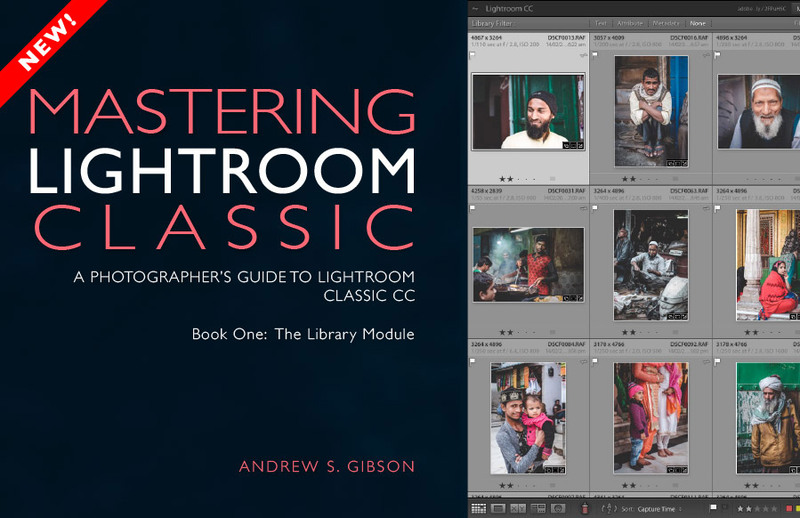 No matter how well you know your way around Lightroom there always seems to be more to learn. 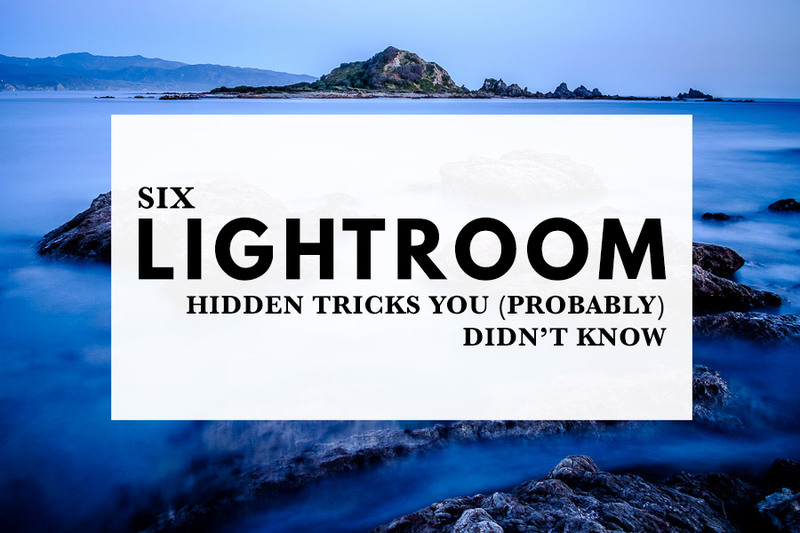 There are lots of hidden tricks and secrets that make Lightroom even more useful and easy to use once you know them. With that in mind I thought it would be fun to put together a short list of some of the hidden tricks that you probably don’t know, but should. Let’s dive in and see what they are. Did you know that you can pull out the right-hand panels to make them wider? The benefit is that it makes the Develop module sliders wider, which helps you make more precise adjustments (it works in the other modules as well). To do so, move the mouse over the left edge of the right-hand panels, until you see the icon marked below. Then hold the left mouse button down and drag the mouse to the left. Here you can see the difference between the regular width (left) and the wider width you can set (right). This is especially helpful on larger monitors and works in reverse with the left-hand panels as well. 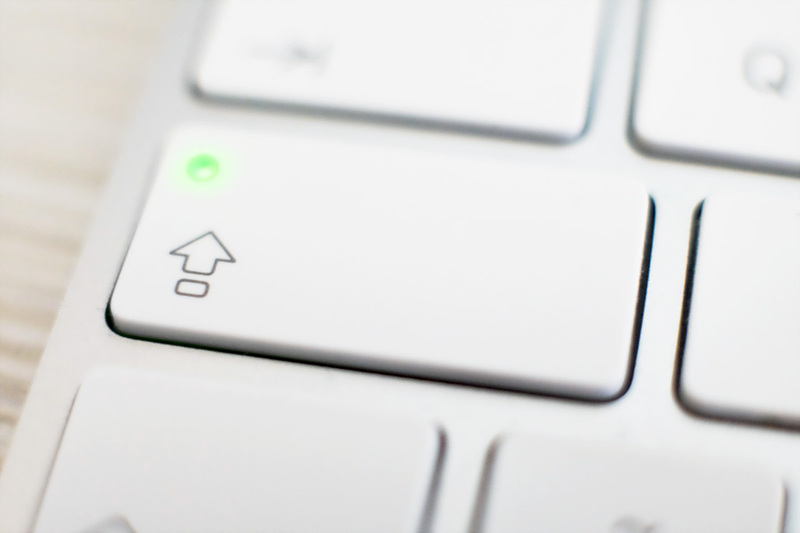 If you have a Mac you can make the right-hand panels even wider by holding the Alt key down when you click and drag. This trick only works in the Develop module. 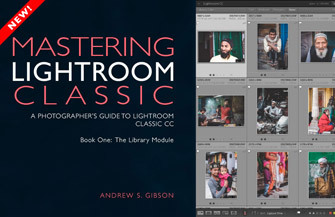 One of Lightroom’s strengths it that it makes it easy to view and edit your images – that is, editing in the sense of deciding which photos you want to keep and develop in the Develop module. This is not difficult if you are, say, a landscape photographer who uses long exposure techniques and ends up with less than ten photos from a shoot. In this case, it’s easy to select the best images and you don’t need much help. But imagine that you’re a wedding photographer who takes thousands of photos during a single wedding. This photographer needs all the help he can get! The easiest way to sort through a large set of photos is to enable Auto Advance (you can do this by going to Photo > Auto Advance). But it’s even quicker using a keyboard shortcut. Just set Caps Lock to on to enable Auto Advance, and off to disable it. Most keyboards have a light that indicates when Caps Lock is on, so it’s easy to see at a glance if Auto Advance is enabled. 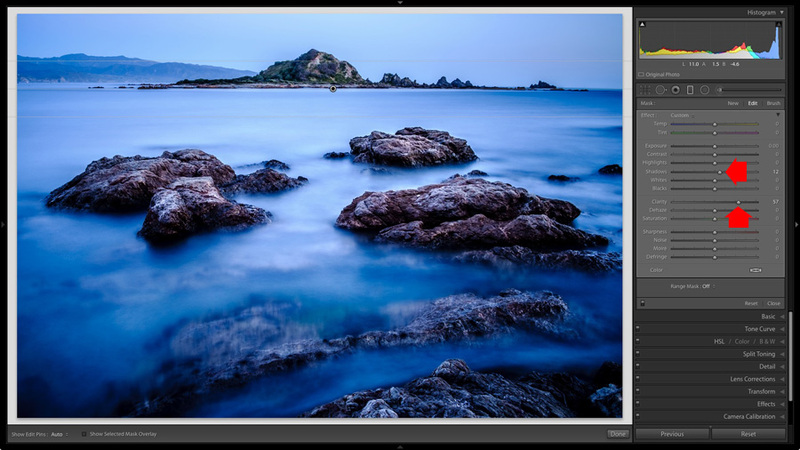 With Auto Advance enabled, press E to enter Loupe View or use the F keyboard shortcut to enter full screen mode (the screen shots below show the difference). Every time you press nearly any key Lightroom automatically advances to the next photo. One notable exception is the Space bar, which zooms in and out of the current photo instead. Loupe View: Loupe View lets you set up a screen something like this (see below), with the Filmstrip at the bottom and the photo in the center (you have to hide the side panels yourself). This lets you see how the current photo fits into the sequence. Full screen: Full screen displays the current photo and nothing else. It gives you the best view of your images (below). Here are a couple of ways you can use Auto Advance. 1. If you use flags to select photos, press P to flag the current photo as a pick, X to set it as a reject, or the right arrow to advance to the next one. 2. If you use star ratings, use the 1,2,3,4 or 5 keys to apply a rating, the 0 key to set it to zero, or the right arrow key to advance to the next photo. Press F or Esc to exit full screen mode when you’re done. 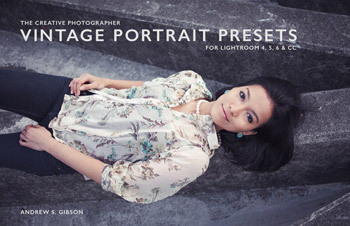 If you’ve ever tried to make a portrait crop from a landscape image you’ll have experienced the frustration of trying to rotate the Crop Overlay. 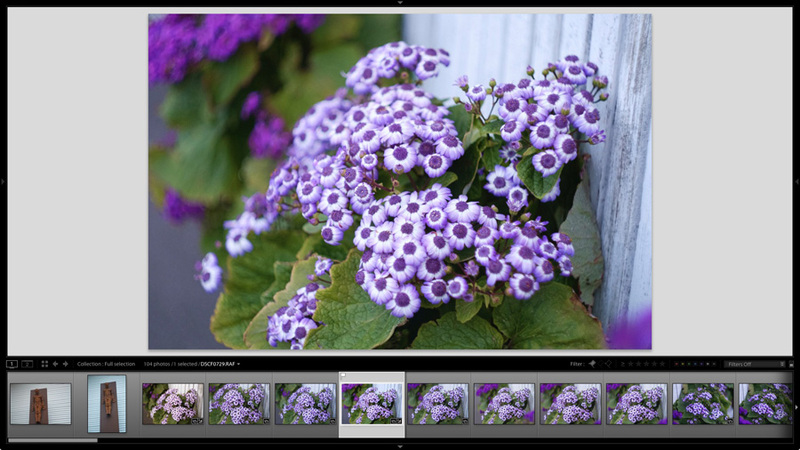 Use the R key shortcut to go straight to the Crop Overlay. Lightroom automatically gives it the same orientation as the photo, with no immediately obvious way of rotating it. To do so, simply press X. 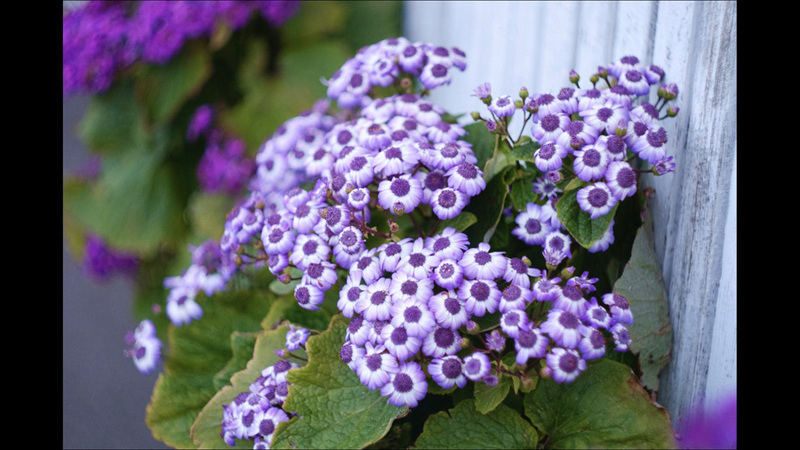 Below: By default Lightroom gives the Crop Overlay the same size and orientation as the original photo. Below: Press X to rotate the Crop Overlay and make an extreme crop. The frustrating thing about the Spot Removal Tool (which you can activate using the Q key shortcut) is that Lightroom is not as good as you might think at guessing which part of the image it should sample in order to heal the selected area. If you don’t like the result you can click and drag the sampled area to another part of the image. But did you know that you can also press the backslash (/) key to tell Lightroom to choose a different area to sample? Repeat as often as you like until you get the desired result. 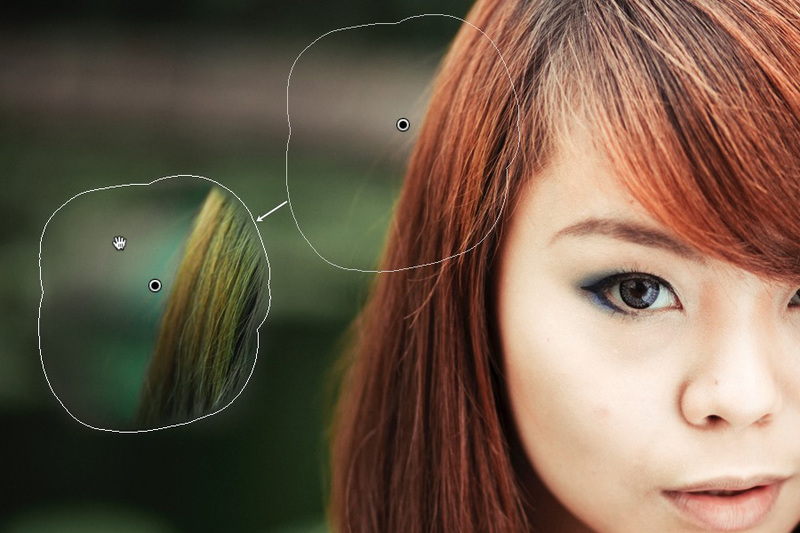 In this example I wanted to get rid of the bright blob in the background (circled below) because it’s a distraction. Lightroom’s first guess didn’t really work. But the second one is much better. There are a couple of hidden Lightroom tricks here that you may not know about. 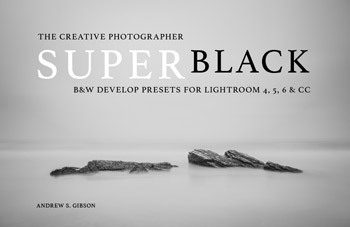 The first is that if you double-click on the Whites and Blacks sliders in the Basic panel (that is, on the words themselves, rather than the sliders) Lightroom resets them to zero. This is a handy shortcut that saves you time resetting sliders (it applies to most of the other Basic panel sliders as well). Here’s the other hidden trick. 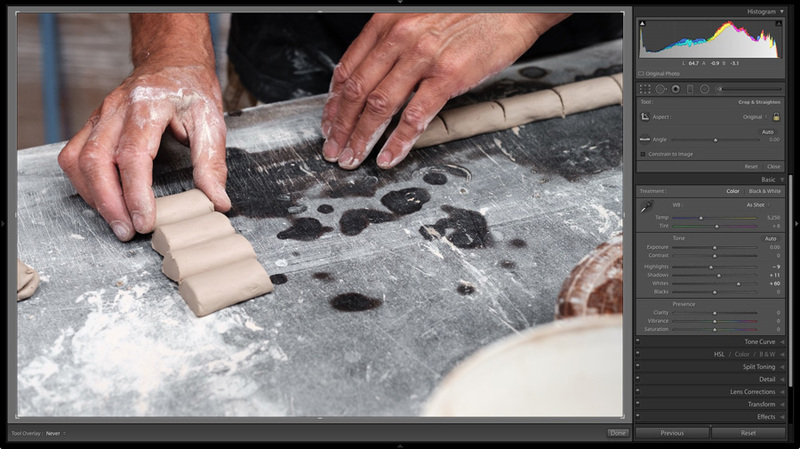 If you hold the Shift key down while you double-click the sliders, Lightroom calculates the best settings, working out where to position both sliders so that the histogram stretches all the way from the left side of the graph (shadows) to the right (highlights) without any gaps. 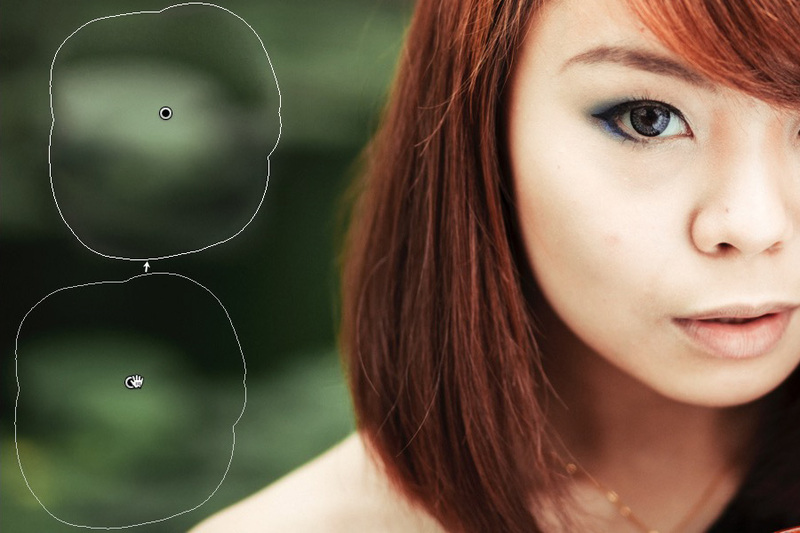 This quick fix makes most photos look better right away. This technique works with the other Basic Panel sliders, but it’s probably most useful with the Whites and Blacks sliders as it’s the quickest way of finding the image’s white and black points. Below: Double-click the Whites and Blacks sliders while holding the Shift key down. Make sure you double-click the words and not the slider itself. If the slider stays at zero, it means Lightroom thinks this is the best setting. Did you know that you can use the apostrophe key to flip (invert) a Graduated Filter? Now why would you want to flip a Graduated Filter, you ask? Let me give you a practical example. 1. 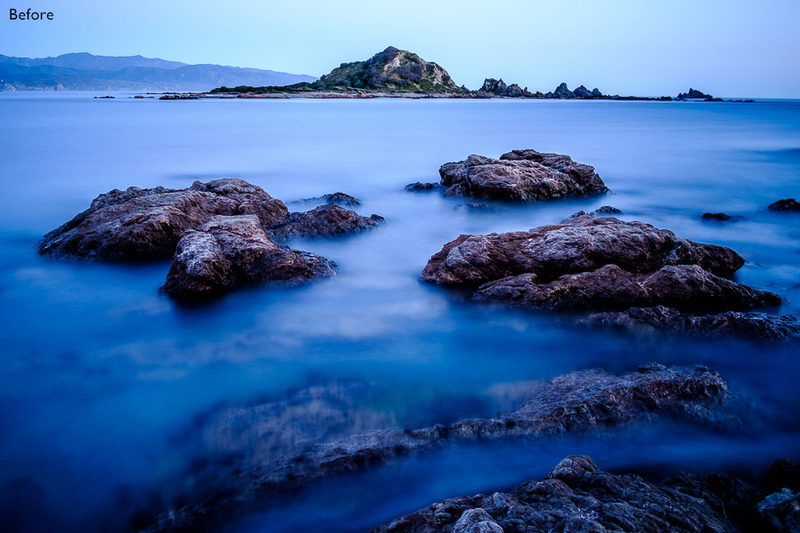 Create a Graduated Filter over the sky of a landscape image. 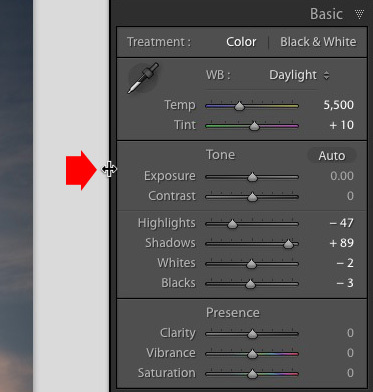 Here’s another hidden trick for you – if you hold the Shift key down Lightroom keeps the Graduated Filter straight. Now move the Highlights slider left to darken the sky (in some situations the Exposure slider might work better). 2. Right-click on the Graduated Filter’s pin and select Duplicate. This creates a new Graduated Filter with exactly the same settings as the first. 3. Press the apostrophe key to flip the Graduated Filter. Now the minus Exposure setting is applied to the foreground. I’m betting you don’t want to make the foreground darker, so double-click the Highlights slider to return it to zero. 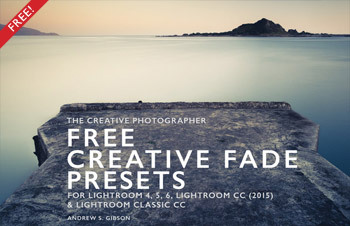 Now you’re ready to use this new Graduated Filter to enhance the foreground. 4. 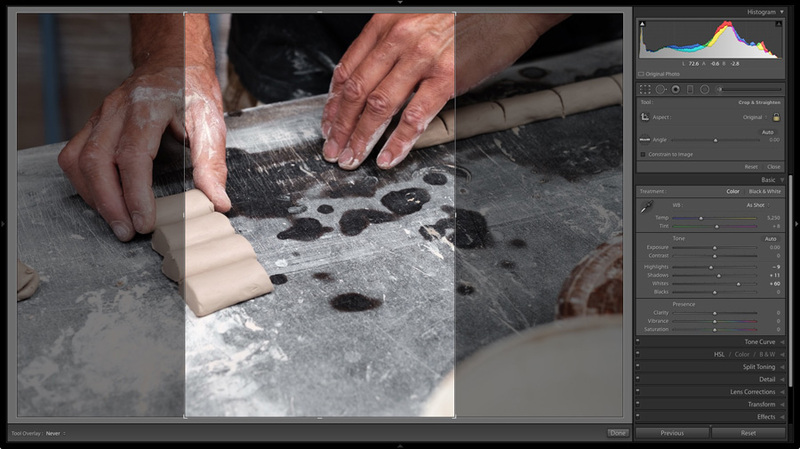 Move the Clarity slider right to emphasize the texture in the foreground. You may also need to move the Shadows slider right if this darkens the foreground too much. The net result is that you have applied two Graduated Filters, one to the sky, and the other to the foreground. Here are the before and after versions so you can see the result. Bonus hidden trick: The apostrophe shortcut also inverts Radial filters. These tips and tricks are not really hidden, they’re just hard to find. But once you know them the process of using Lightroom becomes much easier and quicker. Of course, if you have any interesting tips we’d love to hear about them, so please let us know about them in the comments. Wow! 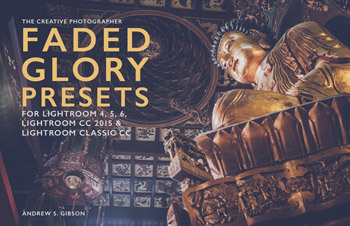 I’m not an expert in Lightroom, but most “hidden tricks” articles are nothing new for me. Congrats on finding tips that are both useful and previously unknown to me. Thanks for the great content! Thanks. Glad I managed to come up with some new tips for you! Thanks, Andrew! Really helpful post! Thanks Michelle, glad it was helpful! Very helpful “finds” for LR…many thanks for another educational insight! Thanks, nice to hear they’re helpful. Yes, the Graduated filter tip is one of my favorites! Would love to read. Paid for ecourse but won’t download! Downloaded other PDFs to my iPad before and after with no problem. 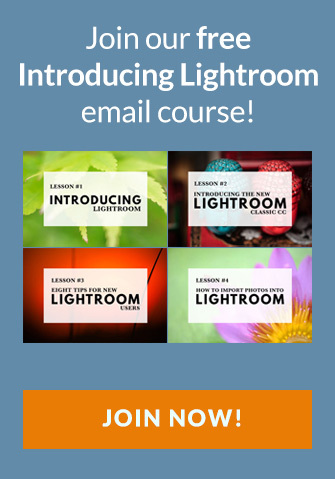 So how will I access the Lightroom Secrets email course. I’ ve not received any email on downloading. Hi John, I replied to your email. The email with the download link may have ended up in your junk mail. I reset the counter so you can download the PDF. 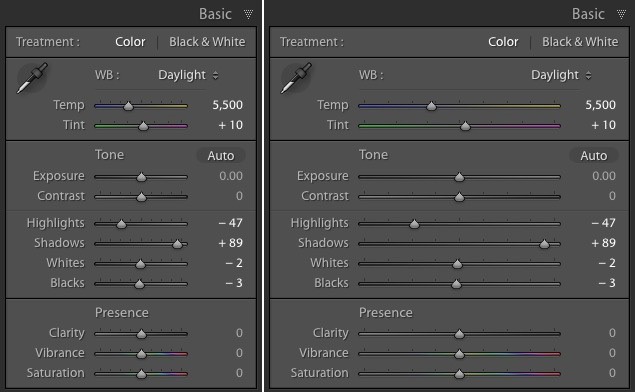 I’ve been using Lightroom for almost 10 years, and hadn’t heard of half of these tips. Thanks so much! The information you share is much appreciated! Thanks again for your helpful tutorials. They’re always a good reminder or i learn something new! Thanks Lisa, glad you like them! 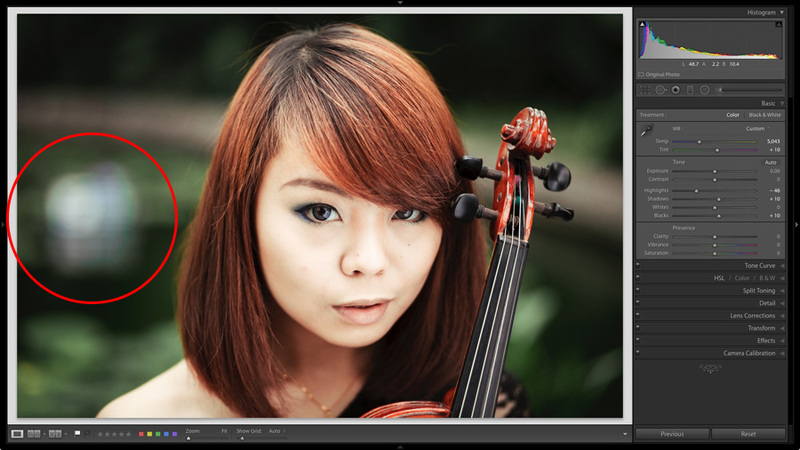 This can be applied while importing images in light room, we can create Preset for Basic correction as it can be common like lens correction and chromatic abberation removal and apply this preset to all the imports, it will save time as one starts working on individual photos. Bonjour Monique, Je compte sur Google Traduction ici. J’espère donc avoir bien compris votre question. La seule raison pour laquelle je peux comprendre pourquoi cela n’a pas fonctionné est que le filtre gradué n’était pas actif. Vous devez cliquer sur le filtre que vous voulez retourner. Vous saurez que c’est actif car le point est noir et non gris. Ensuite, appuyez sur la touche apostrophe. C’est probablement quelque chose de simple comme ça. J’espère que cela pourra aider! Merci pour votre réponse mais cela ne fonctionne pas avec la touche apostrophe. Ma solution : je créée un autre filtre au lieu de dupliquer le premier .